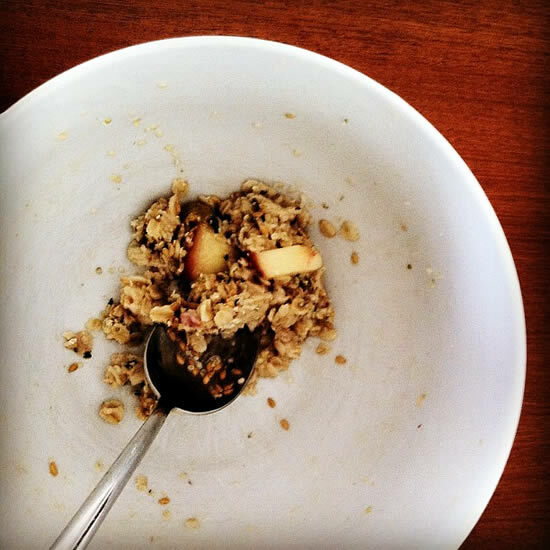 My oatmeal started to look pretty bleak in comparison. Then I remembered that food doesn’t always need to be the Best. Thing. Ever. Sometimes food is just fuel. And, even if it’s not pretty, a bowl of oatmeal with peaches, raisins, flax seeds, and hemp hearts is some darn good fuel. I agree. I enjoy my am oatmeal and want it to be filling. Dinner — a pretty plate defintely adds to the eating experience. Funny how that works??!? I think you may have a blindness to the beauty of your oatmeal that comes with familiarity… that is some very pretty oatmeal!